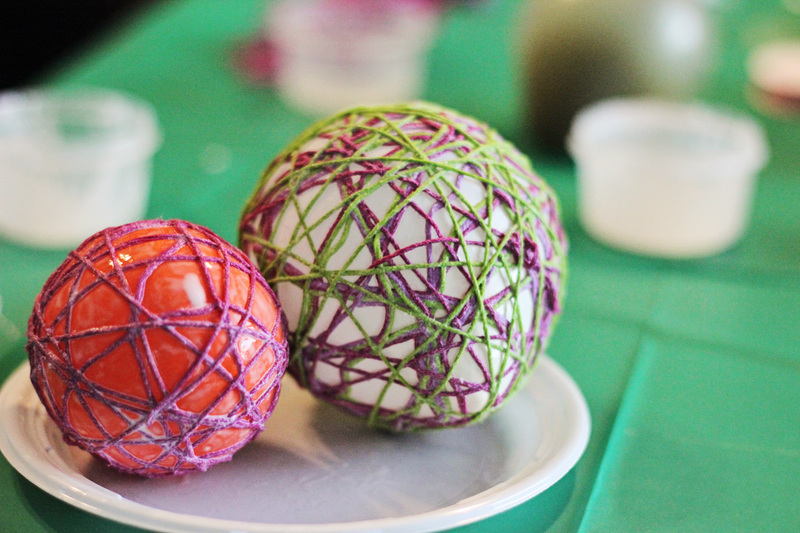 We made these DIY string Easter eggs at our MOPS meeting last week. I’m not gonna lie. These were a little messy. That probably added to the enjoyment of our group though. Whether you call them yarn Easter eggs or string Easter eggs, these little beauties are actually made with embroidery floss! There are a couple of DIY string Easter eggs craft tutorials floating around Pinterest, but I think our craft leader got this one just right with the materials thanks to a little trial and error on her part. 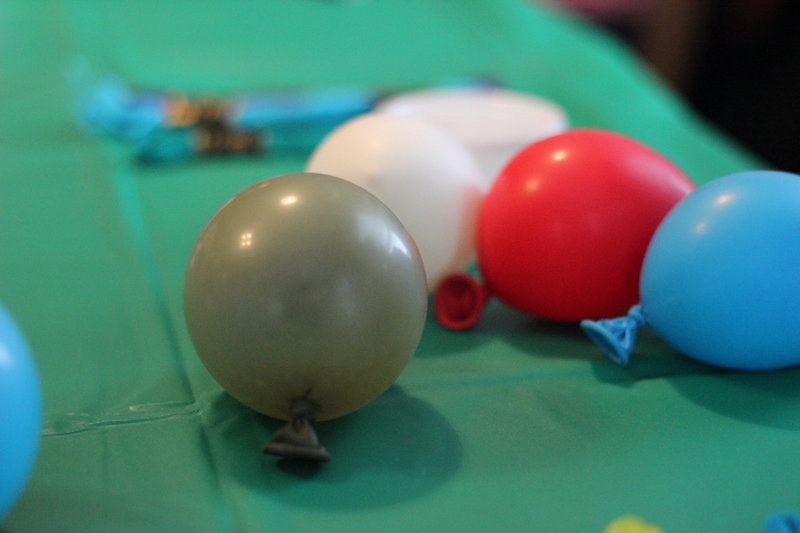 Barely blow a little air into a balloon until it resembles the shape of an egg. Tie off. 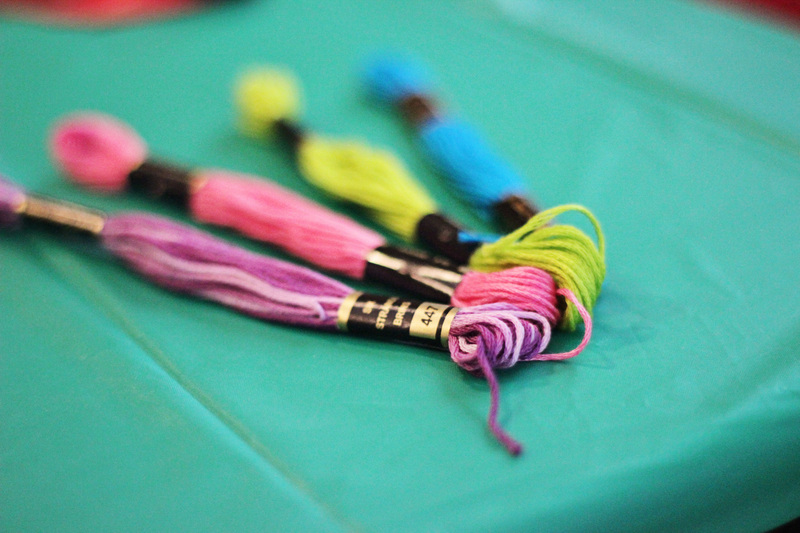 Unravel an entire skein of embroidery floss around three of your fingers to keep the tangles away. Be sure to leave an end sticking out where you can see it. 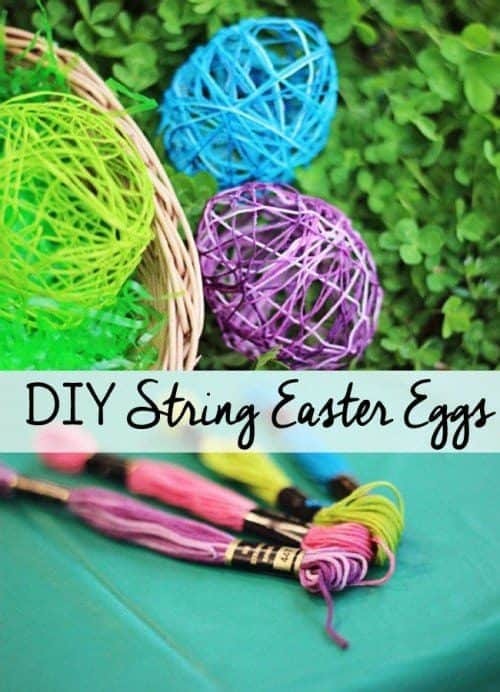 You can use as many skeins on one balloon as you like depending on how “stringy” you want the eggs to look. All of mine just have one skein each. The large egg below used three. ***Tip. 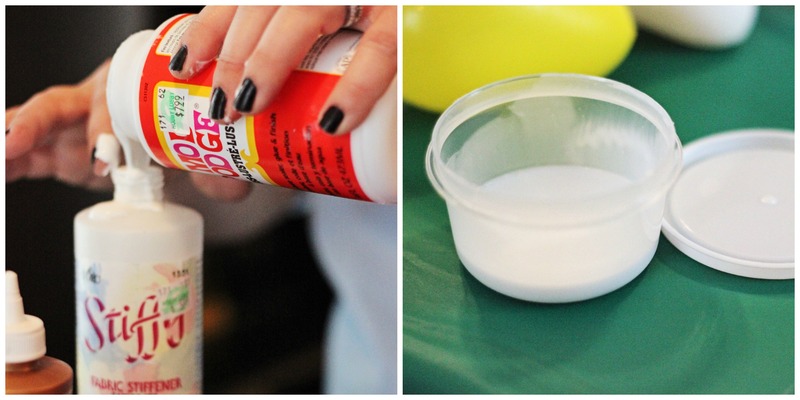 Don’t be afraid of the fabric stiffener mixture. I know it’s sticky but make sure to use plenty of it. Each skein of embroidery floss I used was thoroughly, sloppily soaked with the adhesive with the exception of the green egg. Noticed how I had to place it at the edge of the photo? It’s because it fell apart a little since I didn’t use enough of the mixture. Dry around 24 hours or until strings are dry to the touch and kind of crispy. 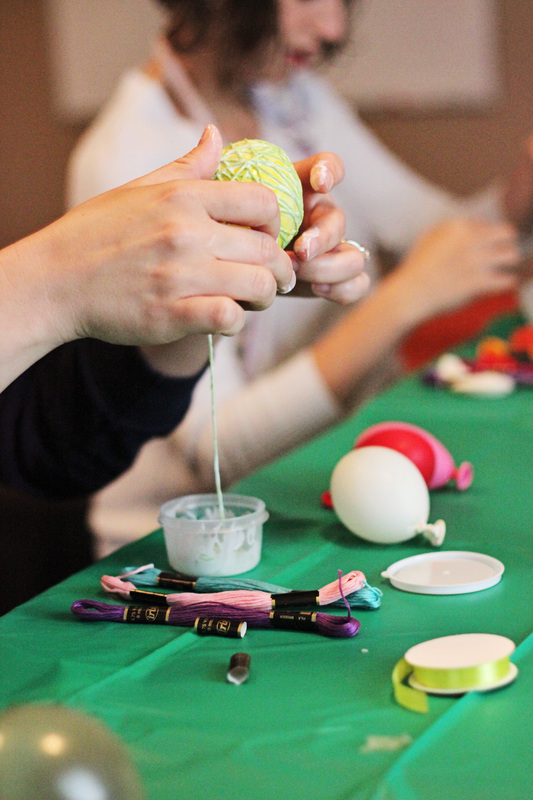 Pop the balloon and enjoy your yarn Easter egg craft! 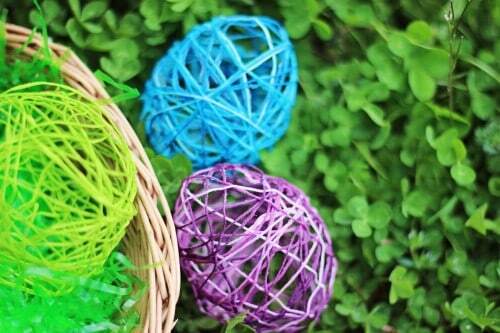 You can display them in a bowl or basket or string them together to make a beautiful garland. 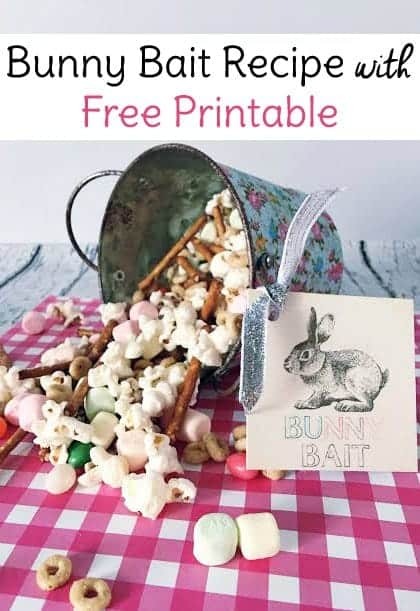 Now you just need to make some bunny bait to go with your string Easter egg craft and your Easter table will be complete!